Use this with our Virtual Pinball Interface. SKU: vp01a. Category: Virtual Pinball Parts. Tag: VPinGroup. We’ve designed the Plunger Module to work with as many different plungers as possible whilst keeping it as simple as possible to set up. 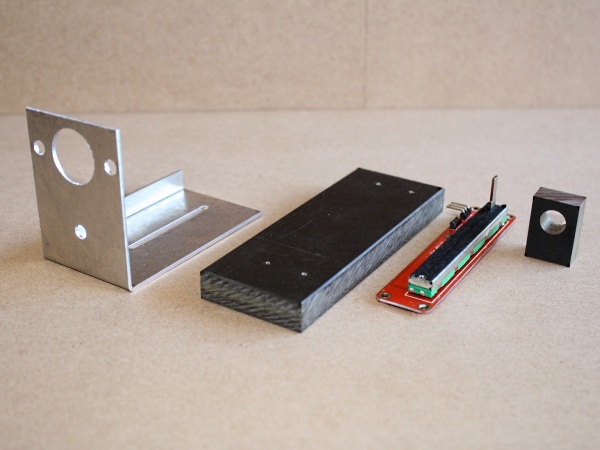 It consists of a Slide Potentiometer mounted on a block of composite material, which is then mounted to an aluminium bracket. The bracket is adjustable for length to ensure the Slider can be fine tuned to suit your individual installation. There is also a smaller block of composite material which is used to actuate the Slider. 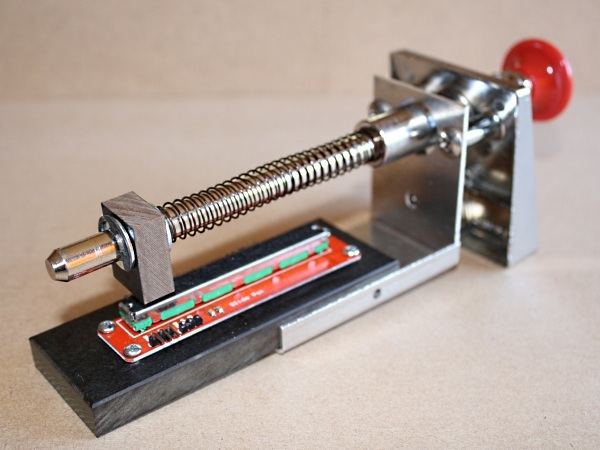 When the Module is fully installed, that block sits on the pin of the Slider and the rod of your plunger sleeves through it, so when you pull back on the plunger the Slider moves back and forth with it. The end effect is that you really FEEL like you have control of the on-screen plunger. 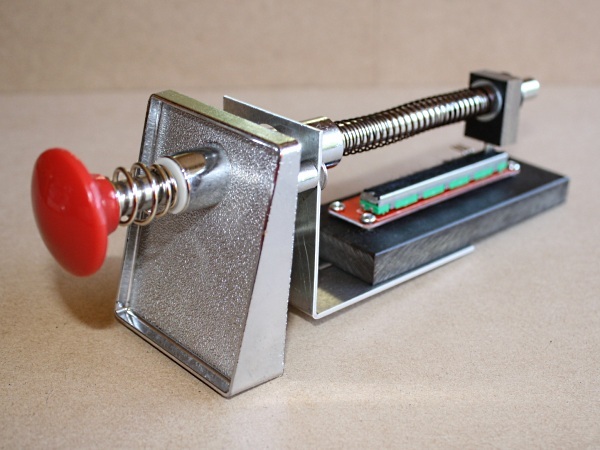 We also include a Low Tension Spring for fitting to your Plunger, which lessens the amount of force applied by the plunger and provides a nice smooth action. This works extremely well with many virtual pinball programs and offers a heightened sense of realism to the virtual pinball experience. 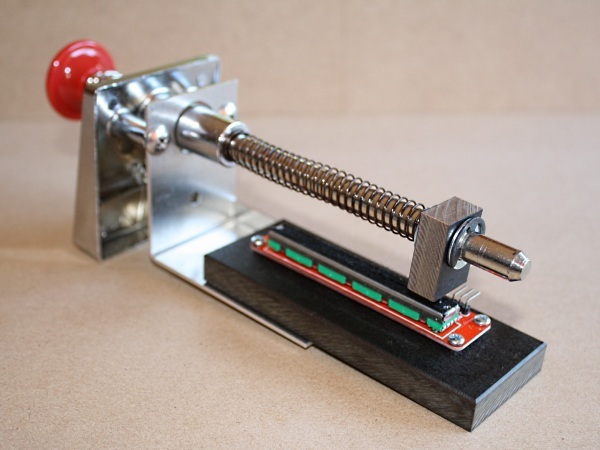 Plunger Module includes a Low Tension Spring for fitting to your Plunger, providing a light and very smooth action. OzStick Home Arcade Solutions © 2019. All Rights Reserved.